As hardy as most automatic garage door systems are, there is always one thing which they may struggle to combat. It is something that has caused discomfort at some point in both of our lives, is unavoidable and unpredictable – we are of course talking about the weather. Automated systems often have to compete with damp climates, harsh sunlight or frigid cold, and so from time to time they would appreciate your help in the matter. The cold may not be directly bad for your electronics, but when it is extreme enough, can pose quite a challenge to the operation of your system. If you’ve woken up on a crisp winter morning to discover that your garage door is frozen shut, there is no need to fret or start calling for an emergency garage door company. All you need is a little hot water to melt the ice between the door and the driveway. Apply it carefully and be sure not to attempt opening the door until you are satisfied that the ice no longer has a hold on your door, and you can get on with your day. Rain can be a problem for your system at certain times of the year, but to be honest, any damp can pose a severe risk. If you live in a tropical clime, or are constantly struggling with damp, you may find that many of the components in your system are in constant danger of rusting, galvanic corrosion or decay. Metal parts are obviously at risk in this regard, and so it is important for people who struggle with damp weather to see to proper spring replacement and other maintenance tasks which ensure the integrity of support components. 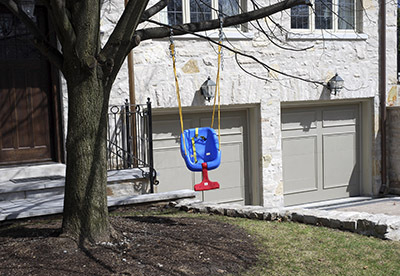 Sunlight is just about everywhere, and while we should always be grateful for the vitamin D supplying photons bouncing around our homes, one should always be aware of the damage which sunlight can cause to garage doors. Whether they are wooden or metal, unprotected doors can take quite the beating from the harsh sun, and so, just as is the case with damp weather, a protective layer of paint or varnished should be applied to the door to protect it from the weather. So if you have been struggling with your environment’s effect on your systems at home, know that there is plenty you can do about it without having to opt for emergency garage door repairs without notice. Contact our team at “Garage Door Repair Jacksonville Beach” for more advice on how you can protect your system from the ravages of bad weather.